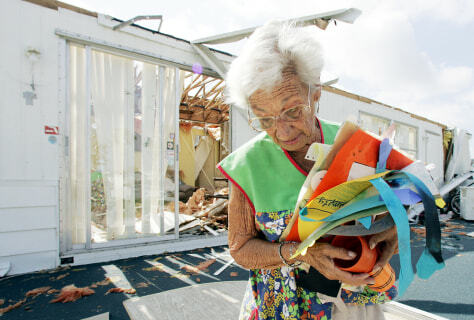 Betty Kaluski of Sebastian, Fla., weeps as she carries belongings from her demolished home Sept. 27. Her garage and porch were destroyed three weeks ago when Hurricane Frances made landfall nearby. The rest of her home was destoyed when Hurricane Jeanne made landfall on Sunday.